This is the Cookie… I mean, Coconut Palace. Commissioned by First Lady Imelda Marcos to host Pope John Paul II, it became the first ever Philippine Pit Stop on The Amazing Race. Today, it will serve as the Starting Line for 11 brand new teams as they Race through brand new countries and travel farther than the Race has even gone before! There are two flights teams can fly that will get them to their first destination. The first flight, with room for five teams, will arrive at 9:25am while the second flight, for the other six teams, arrives at 9:55am. 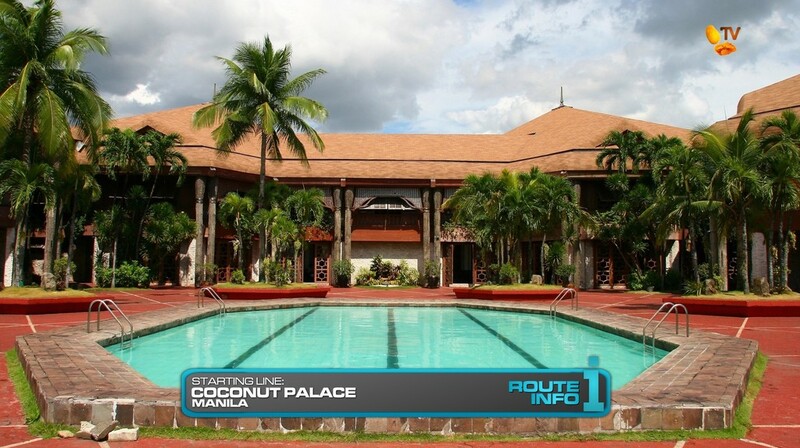 To get tickets for either flight, teams will have to dive into the Coconut Palace swimming pool and retrieve a card for either “Flight #1” or “Flight #2.” Once they retrieve a card, they can exchange it for their first clue. ALSO! In the pool, there are two cards that can be exchanged for Express Passes! If teams want the Express Pass, they must retrieve the Express Pass cards and exchange them before diving back into the water to retrieve a flight card. When teams open their first clues, they will learn their first destination is Honolulu, Hawaii. USA! The first flight on Japan Airlines via Tokyo will arrive 30 minutes before the direct Philippine Airlines flight. 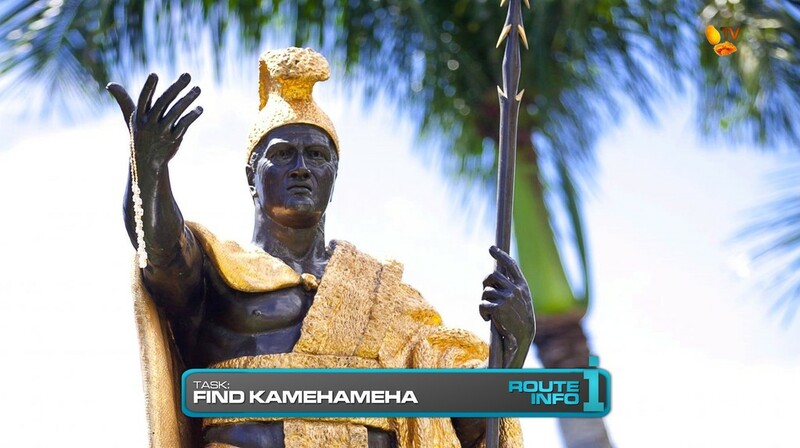 Once in Honolulu, teams must find King Kamehameha. 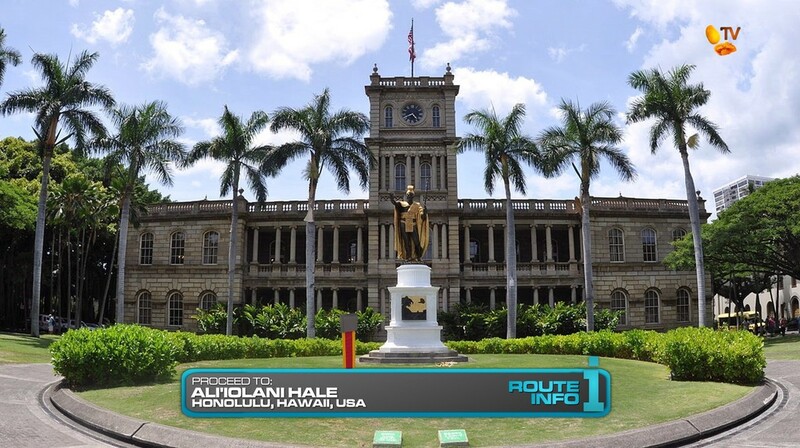 They will need to figure out their next clue is waiting next to the Kamehameha statue at the Ali’iolani Hale. 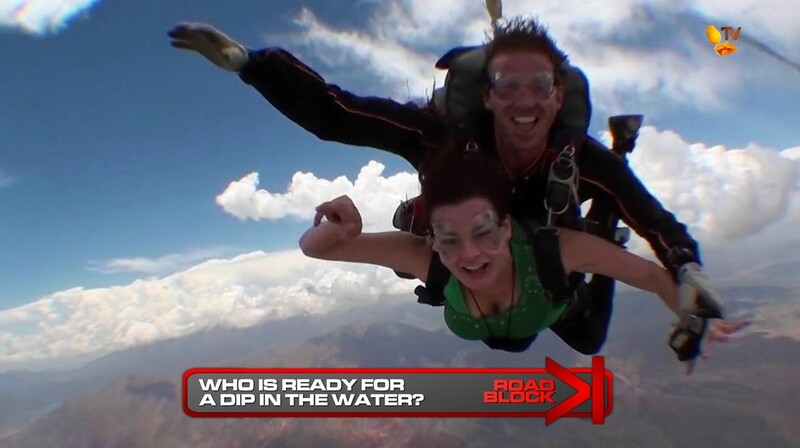 That first clue reveals the first Road Block: Who’s ready for a dip in the water? For this Road Block , teams will make their way to Pacific Skydiving where they will jump out of a plane and tandem skydive 14,000 into the waters of Kaneohe Bay where their partners will be waiting. 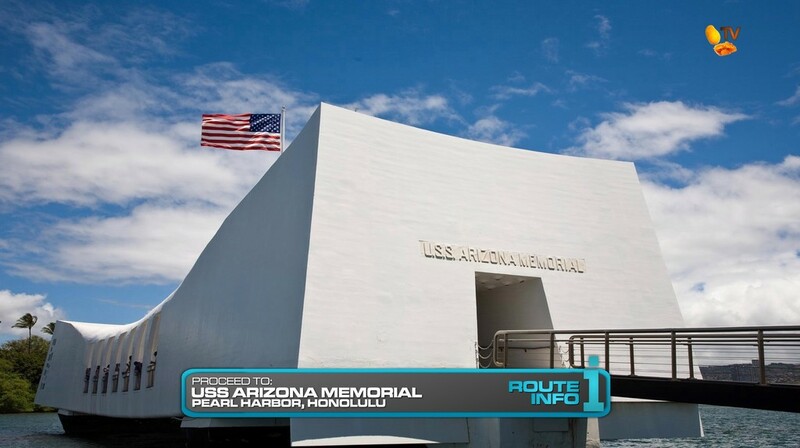 After the Road Block, teams must make their way to the USS Arizona Memorial where they will meet and thank an American military veteran who fought for the US Military alongside Filipino soldiers in the Philippines during World War II. Teams will take a lei and place it in the waters of Pearl Harbor in honor of those who lost their lives during the attacks on Pearl Harbor and Manila as well as those soldiers who fought alongside Filipinos during the war. 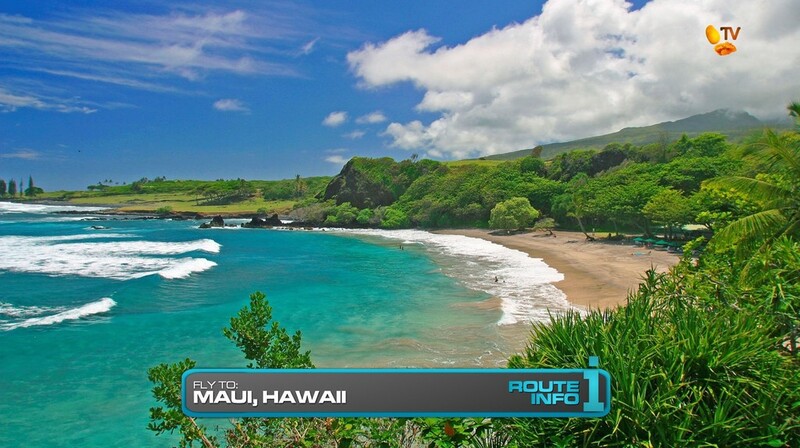 After their offering, teams will get the next clue telling them to fly to the island of Maui! 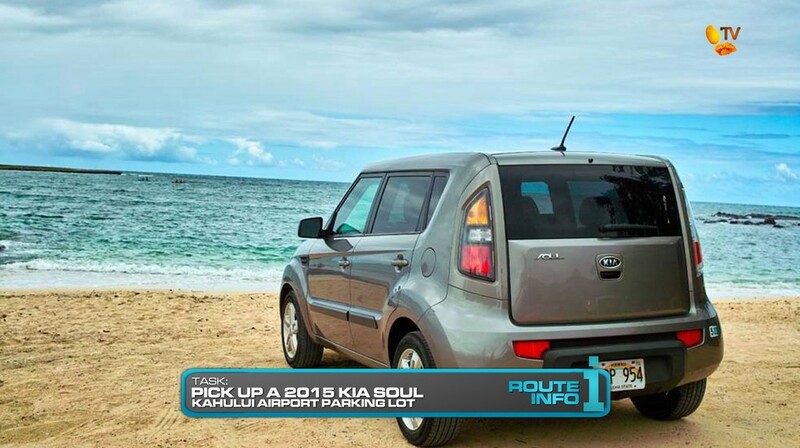 Arriving at Kahului Airport after 5pm, teams must pick-up a 2016 Kia Soul at the airport carpack and drive themselves to Hosmer Grove Campground at Haleakala National Park. At the campground, teams must correctly set-up a tent they will be sleeping in for the night. Once their tent has been approved by a park ranger, they will receive a departure time for tomorrow morning. 4 teams at 8am, 2 teams at 8:15am and 5 teams at 8:30am. 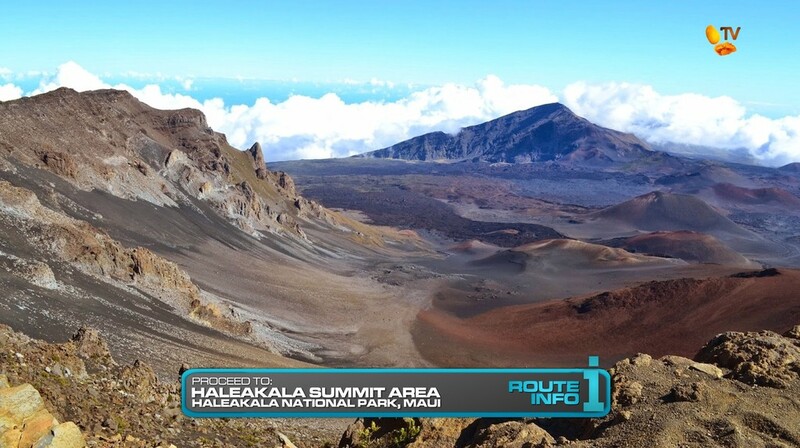 Next morning, teams will receive their clue directing them to drive deeper into the park to the summit of the volcano and hike a marked path to the next cluebox. That cluebox reveals the 2nd Road Block of the Leg: Who’s on fire? The team member who did not complete the first Road Block must do this one. 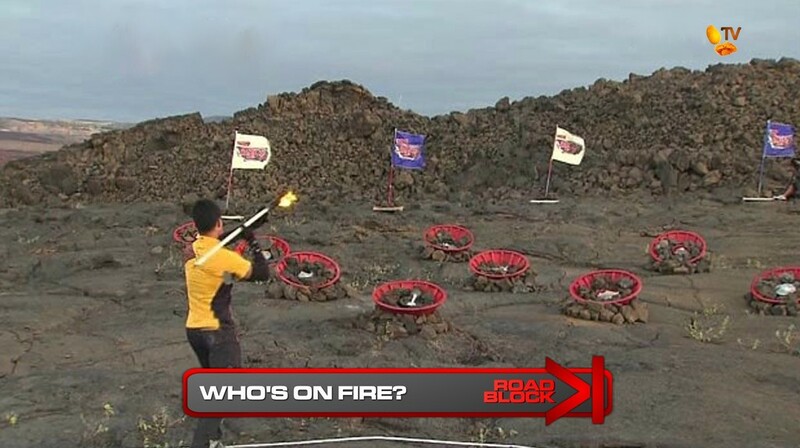 For this Road Block, teams must throw a flame spear into two different pits to light them on fire in order to receive their next clue. There are three different positions teams can throw from and each person will have two attempts per turn at any one position. 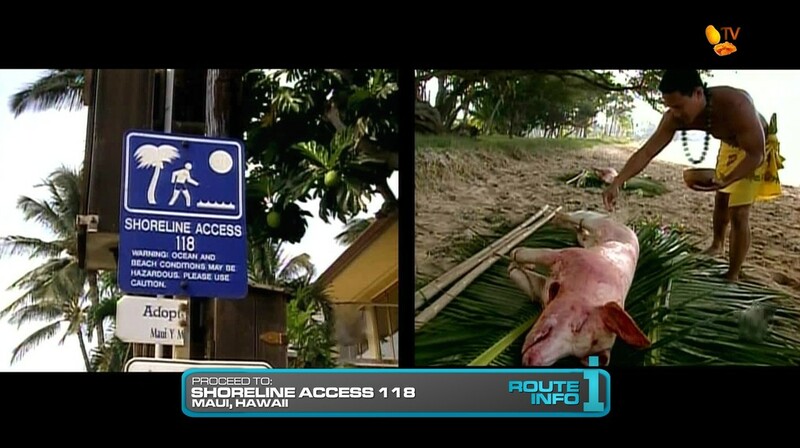 After completing the Road Block, teams must drive themselves to Shoreline Access 118 for their next clue. 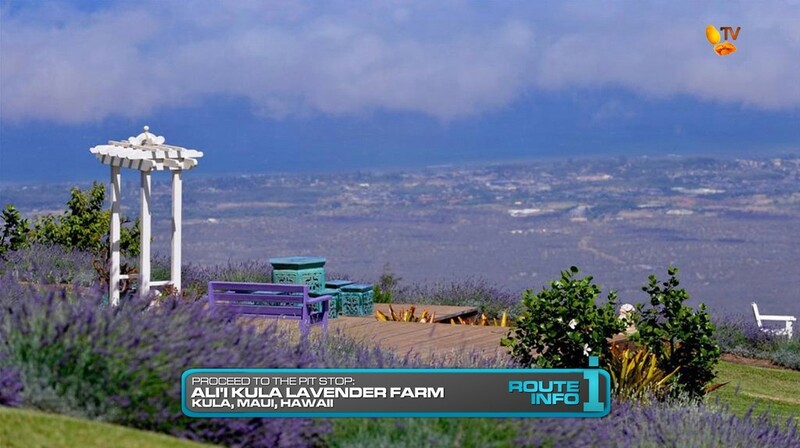 The Ali’i Kula Lavender Farm. The first team to check-in here will win P100,000 courtesy of Shell V-Power Nitro+. And the last team to check-in WILL be eliminated. And another TARPHDME season begins! After three “non-visa” seasons, this is the perfect time to finally have teams travel to those countries where it’ll take a little extra effort on the part of production to work out. Of course, for the first “visa season” and first location, it’s gotta be the United States. And having the US be the first location when all the teams are present is great. Hawaii is a natural first stop too before the teams (maybe) travel to the mainland. 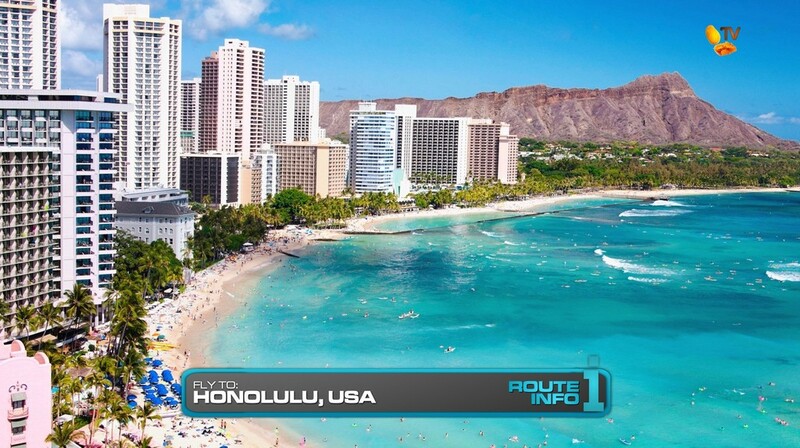 TARPH (real or DryedMangoez Edition) hasn’t had any skydiving tasks yet, so Hawaii is a perfect location for that. Especially as the first task. You need to hook those casual viewers, you know. I always wish that first Legs were fuller, so this one definitely has a lot of stuff going on. Traveling to Hawaii, a visit to Pearl Harbor should be a nice little tribute. World War II is something that will forever connect the US and the Philippines, so paying tribute and honoring those who lost their lives in the attacks as well as the soldiers is a must. Originally, I was going to keep teams in Honolulu, but I need a volcano location for the 2nd Road Block. That fire pit task is actually inspired by a task from the Korean show The Challenger which aired on KBS and was basically a combination of TAR, Survivor and even The Apprentice. 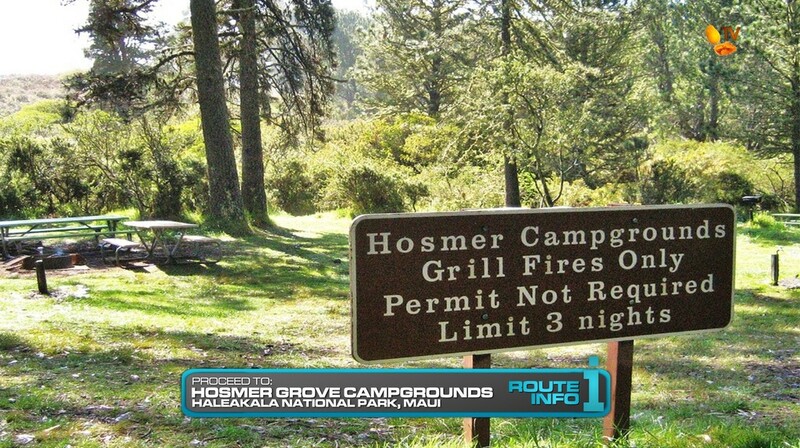 The overnight camping is a necessary equalizer since the tasks on Maui island can’t take place until the next day. So, I like this Leg. Not perfect, but it should do well for competition as well as show off Hawaii.